The Nigeria Army has stated that its free medical outreach in the South East is not a vaccine intended to infect monkey pox or any major contemporary or emerging diseases in Nigeria to the people of the region or any part of the country. He disclosed that the exercise is part of the Corporate Social Responsibility initiatives imbued into the overall Exercise EGWU EKE 11 package, to the people of the South Eastern Region which is the Area of Responsibility of the 82 Division of the Nigerian Army. “Instructively, the free medical services in the region started on the 18th of September 2017 in Nkwaagu community of Abakaliki Local Government Area (LGA) of Ebonyi State. At the event, the Deputy Governor of Ebonyi State, the Chairman of the LGA and some traditional rulers of the benefiting community were there at the flag off of the exercise by the Chief of Army Staff Lieutenant General TY Buratai. “Other areas where the programme was conducted were Ovim in Isoukwato LGA of Abia State, Mbaise in Imo State, Oji River in Enugu and now Ozubulu in Anambra State. 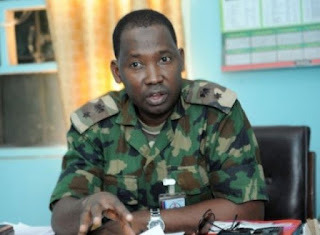 “In all the mentioned areas, there has not been any recorded incident or complain of any kind arising from the noble humanitarian gesture of the Nigeria Army. Hence, the wicked, ill motivated rumour/lies is the handiwork of unpatriotic elements who can go to any length to discredit the noble services of the Nigeria Army in the region, which at the moment they will not succeed. The Army further requested the general public to disregard the rumour for the good of the people.